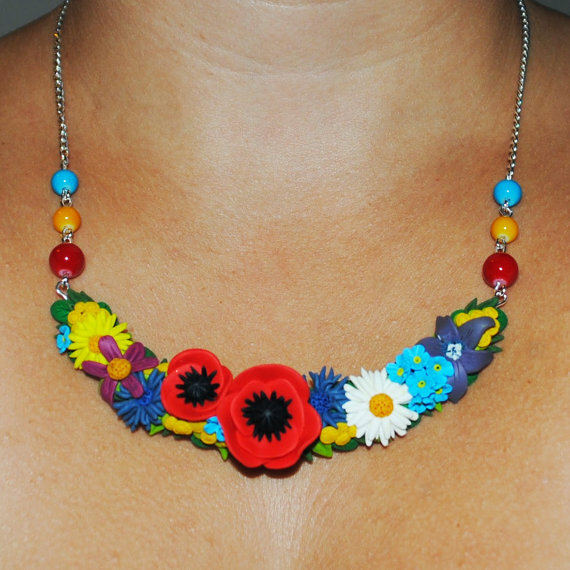 One of a kind polymer clay statement floral necklace transfers energy and creativity. 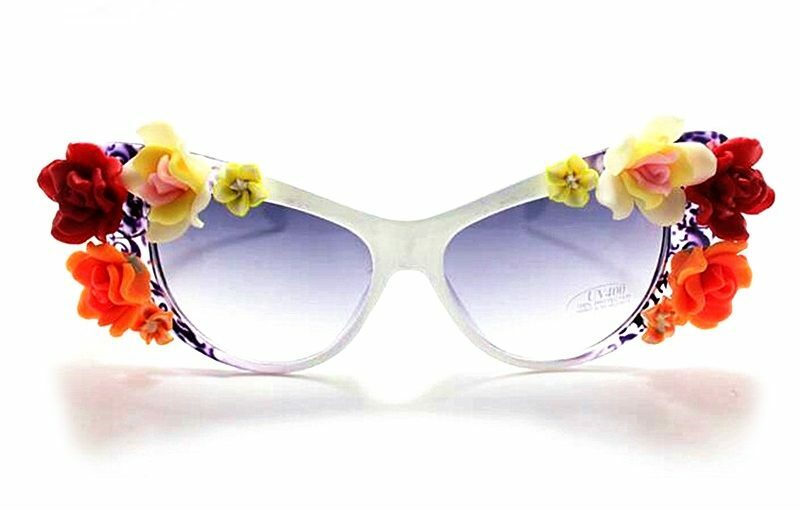 Did you know the way you choose the accessories one day depends on how you woke up in the morning? Yellow means energy, red intense emotions, orange tonus, green relaxation and calm and white freshness. 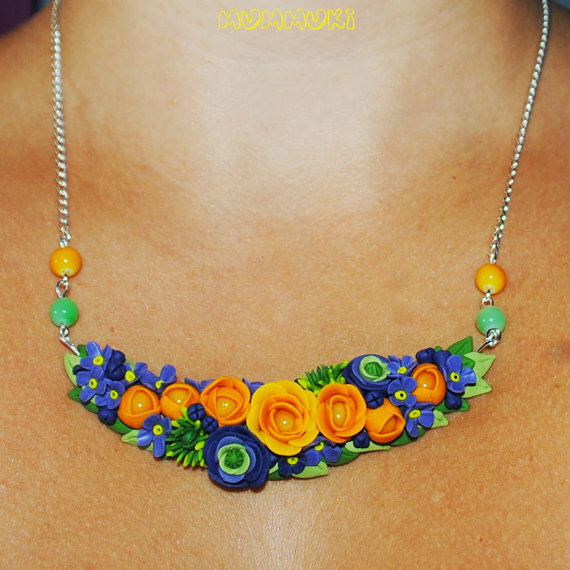 Choose one polymer clay statement floral necklace from the fallowing and if you stay in line for the last one it means you’ll have a day like a rainbow ! Jewelry are a precious gift, full of passion and brilliance designed specifically for the lady of every man’s life. 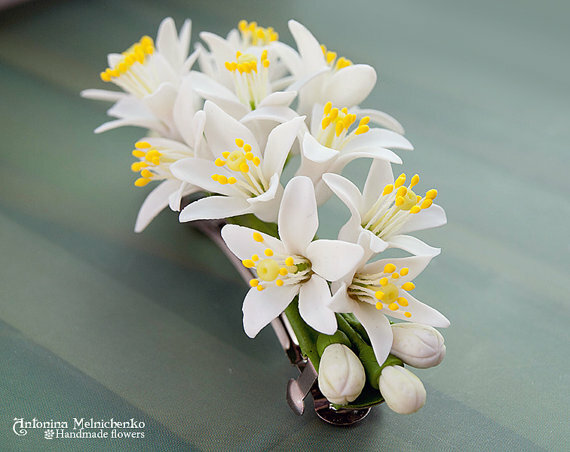 Jewelry are also a congratulatory gift with a unique and brilliant design for the romantic, refined and beloved woman! 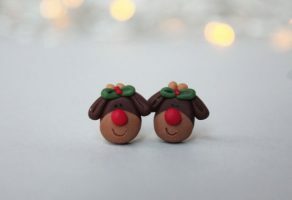 Every woman likes to be unique, so whenever you have the opportunity choose to give handmade jewelry, your loved one will highly appreciate! 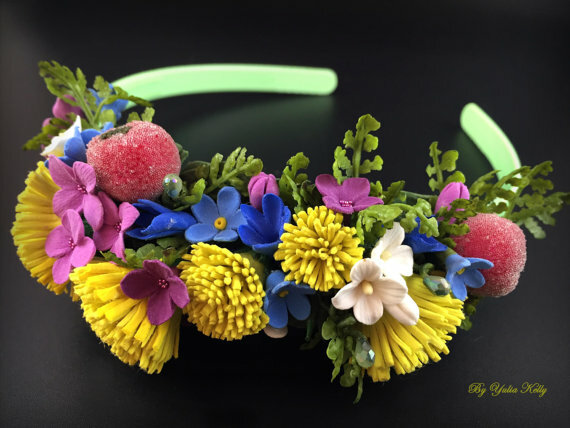 Let’s get back to our theme: polymer clay statement floral necklace. 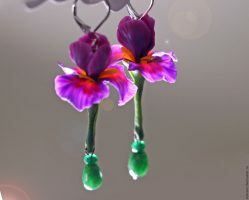 All the jewelry presented here can be order from mummuki shop on Etsy. 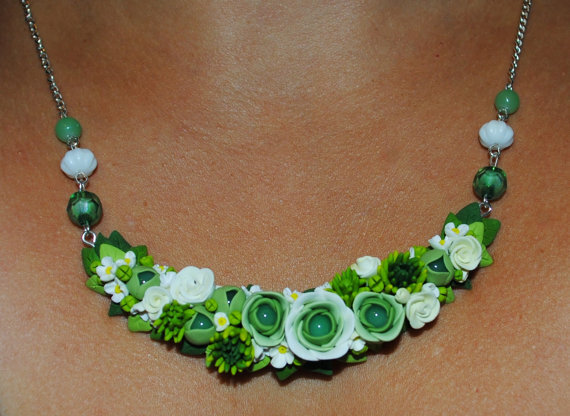 I loved every single flower of the first polymer clay statement floral necklace. What about you? 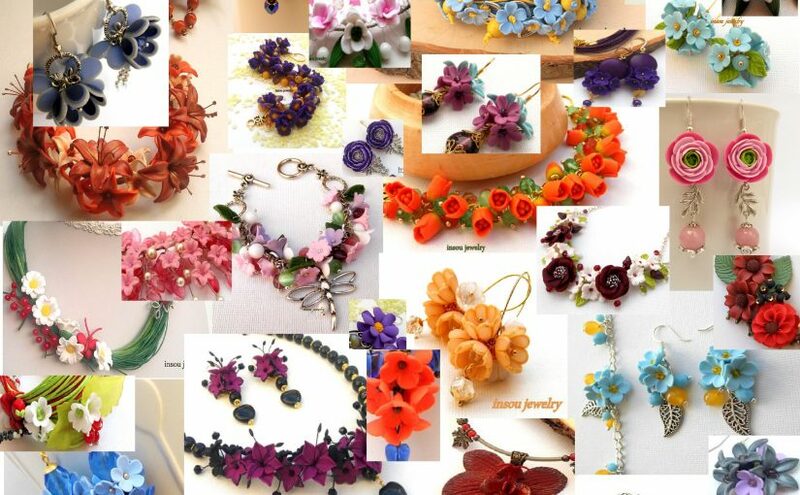 Which polymer clay statement floral necklace did you choose? Please tell, let’s test the colors theory! 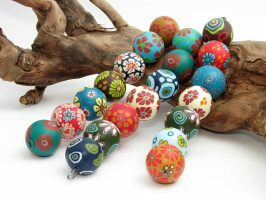 If you are a fan of handmade jewelry, you can use this link for more lovely ideas or you can use this link for free polymer clay tutorials.